We’re often told to wear our heart on our sleeve. For a leisure business, this is doubly true. Your uniforms are a moving billboard for the passion and integrity of your team. 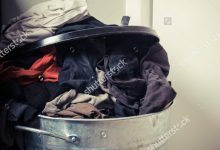 Dull or tired clothing can undermine these values and suggest that you’re not serious about making an impression. Have you taken a critical eye to your uniform lately, to assess whether it’s sending the right message to your customers? What are the signs that it’s time to upgrade your sports and leisurewear? By this, we don’t mean that your uniform has to be garish and startlingly bold. Subtle colours are fine, as long as they’re complemented by a secondary shade that draws the eye. Plain navy, black or cream is hardly going to make a statement by itself. Mixing colours is part of the fun for designing a memorable kit. Dyed sublimation printing, for example, has thousands of potential tones to pick from. You can add as many as you like without upping the cost. Such flexibility lets you play with collar lines, torso features and edging at the bottom of the garment. Basic, catch-all sports and leisurewear can be very interchangeable. Every brand needs a logo to surmise – and extend – its core personality. Therefore, any uniform without a strong logo is going to suffer from anonymity. Get that one image right, and you have a hook that’ll only get more prestigious as time goes by. Whether you prefer to land that logo on the back/front of a t-shirt, a sports cap, or a myriad other facets to your work gear, it definitely has to be present. Crisp, high-quality prints are essential, as a blurred or misaligned logo is worse than not having one at all! If a uniform is growing duller, the brand will follow suit – it’s a fact that can’t be shirked for ultra-cheap printing solutions. Cutting corners now will cost you in the long run; far better, we think, to go for a technique that’ll deliver lasting artisanship. That’s why we recommend sublimation printing or embroidery over other methods, like screen printing or DTG methods. Our bespoke uniforms are designed for durability, using methods that won’t succumb to wear and tear. Sun, rain and wind also has little effect on the vibrancy of the finished product. We’d love to tell you more about the latest techniques we’re using in the sports and leisurewear sector. Branding should always be at the helm of whatever you’re doing – when uniforms say as much about you as the person underneath them, it’s vital to ensure those impressions are one-of-a-kind. 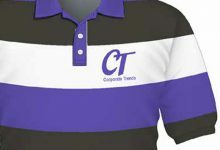 To revamp your uniform, click here to get in touch with Corporate Trends for a free, no-obligation quote.